There's a certain pride that comes with donning the apron and tongs to handle grilling duties at a barbecue. 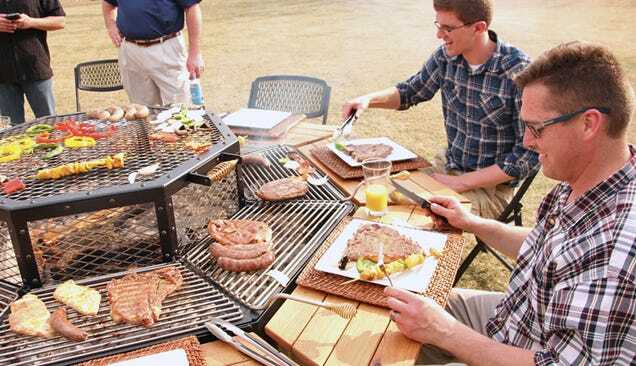 Making sure everyone's steak is cooked exactly how they like is a lot of responsibility, though, which is why the JAG Grill table—that lets every dinner guest grill their own meat—is such a wonderful idea. 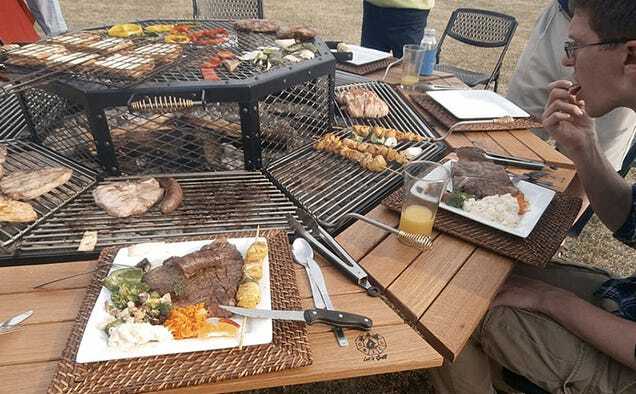 Located in the middle of the dining table is a central firepit capable of holding large burning logs to keep coals or briquettes under the eight individual grills surrounding it piping hot. The wooden tables can be removed, for those times when you feel a little more traditional and want to stand around the grill. And access doors on the side make the firepit a little more accessible for easy cleaning.